The Finnish Institute in London is excited to be part of Mobile Home London, a design project realised by the architecture students of University of Westminster together with acclaimed architects from Finland and the UK. 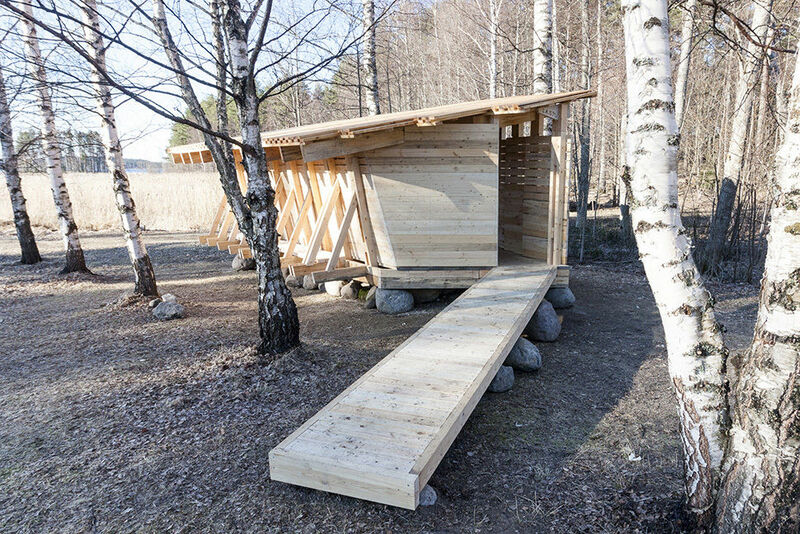 During the project the students designed and built an environmentally friendly wooden shelter called Lastu at Lusto – The Finnish Forest Museum 29 April – 7 May. Dozen students from eight different countries arrived at the site at Lusto – The Finnish Forrest Museum in the middle of wilderness at Punkaharju 29 April. 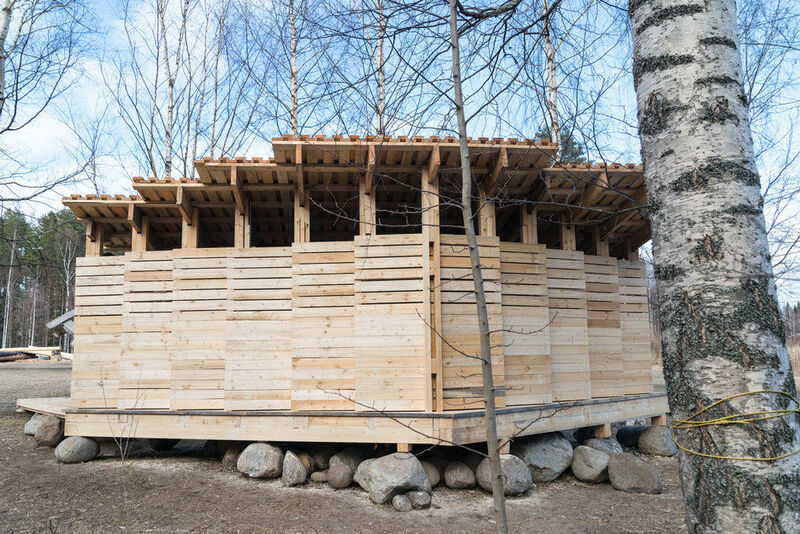 Together with Finnish architect Sami Rintala and British architect Tom Raymont they designed and built an innovative wood structure in a week. 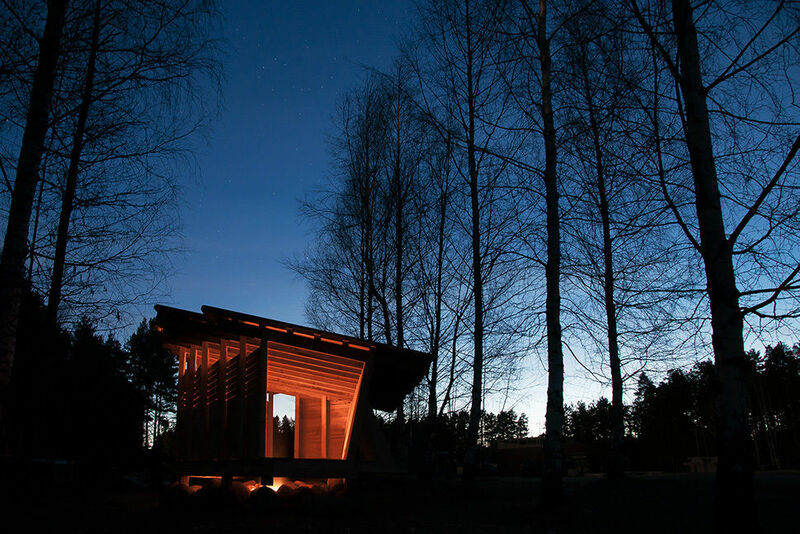 The shelter called 'Lastu' has a hearth and it is available for public use from 8 May onwards. "Within a couple of days the multicultural group started working really well with wood and tools - and the result was a structure that interpreted the wilderness logically and in a bit more urban way. The most important thing was the communal aspect of people coming together around the fire." says Sami Rintala. "Lastu exceeded all expectations architecturally. It fits its surroundings discreetly while affording new angles on the lake and landscape. Only when observed little closer, you can notice its surprising and innovative architectural solutions," says Pauliina Ståhlberg, director of the Finnish Institute in London.